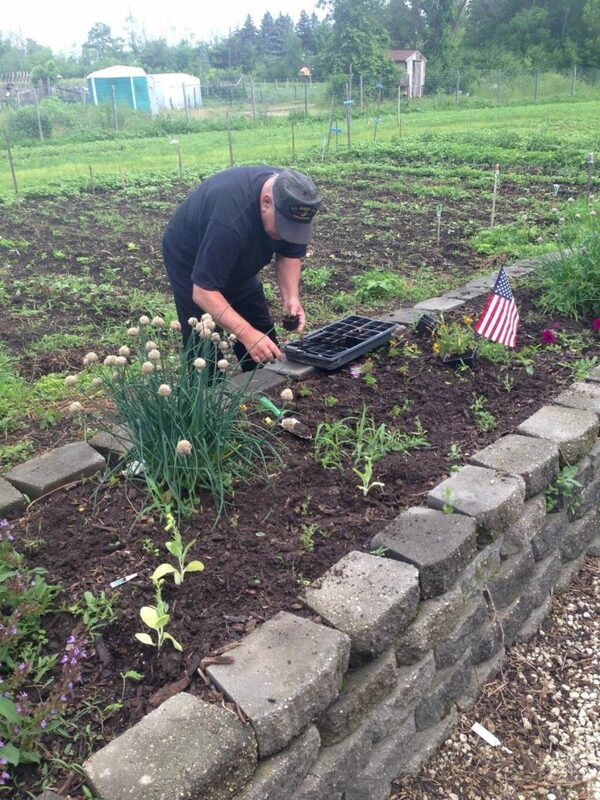 Since 2012, the one-acre Vets Healing Garden site has been a partnership between UW-Extension, Veterans Affairs, and Milwaukee County open to all veterans of military service, primarily consisting of veterans from the Vietnam War. The Vets Healing Garden is coordinated by a VA Readjustment Counselor. Through a partnership with UW-Extension, Veterans Affairs, Milwaukee County House of Corrections and private donors, a greenhouse, brick patio, meeting house, rainwater cistern, and tool shed with tools were donated and constructed using Milwaukee County House of Corrections inmate and volunteer labor. A second partnership provides accessible garden and therapeutic horticulture programming for individuals with disabilities at Wil-O-Way Grant and Wil-O-Way Underwood. Wil-O-Way Grant therapeutic gardening programming serves adult individuals with physical and cognitive disabilities such as dementia, autism, and traumatic brain injuries in the adult day care program provided by Adult Day Services of Southeastern Wisconsin LLC. UW-Extension facilitators work in collaboration with Adult Day Services case managers and recreation assistants to deliver horticultural programming suitable to each individual on a weekly basis. Wil-O-Way Underwood therapeutic gardening programming serves adult individuals with physical and cognitive disabilities such as dementia, autism, and traumatic brain injuries in the adult day care program administered by Goodwill Industries. UW-Extension facilitators work in collaboration with Goodwill Industries case managers and recreation assistants to deliver horticultural programming suitable to each individual’s needs on a weekly basis for one to two hours. In addition, the adult day care program utilizes the space adjacent for the gardens for outdoor activities such as picnics and light exercise.